My first encounter with Alpaca was Everlane’s alpaca wool blend sweater (which I reviewed here). But because it had such a high nylon content I, one, sent it back and, two, really wanted to try a sweater that was 100% alpaca (no plastic please!). In the Everlane review I went over why alpaca fibers are better than cashmere and why it’s now the luxury fiber for sweaters (cashmere is no longer a luxury because even fast fashion brands like Uniqlo churn out cheap cashmere (including Everlane’s $100 cashmere I’m sorry to say)—which is also harming the environment with its mass production). And well 100% alpaca sweaters have the “luxury” price tag to match (like this one, this one and this one). Trying to find a sub-$300 100% Alpaca sweater is pretty much impossible. So I decided to stalk my favorite clothing consignment site, TheRealReal and found one from Lauren Manoogian (that link is for the one I actually tried on in this review and there are similar ones here and here). 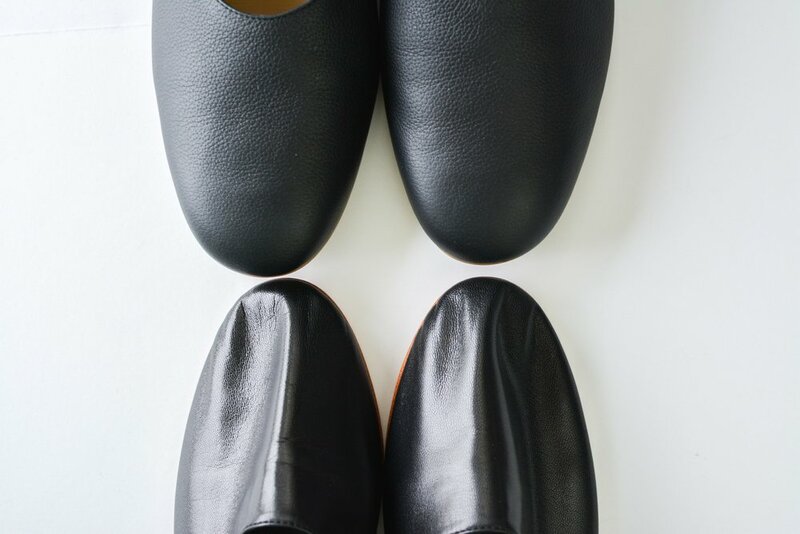 I’ve reviewed one of her items before, where I talk about the ethics and values of sustainability behind her company (she’s not quite slow fashion, but almost). Her limited number of items each season aren’t cheap but they’re made to last. But the best way to afford her pieces is by buying them used! I was lucky enough to snag this 100% Alpaca sweater for about $128 (incl shipping) but had to compromise on the size (it’s a large). But I figured with my big ‘ole prego belly, the large would probably be a good fit. So what did I think of the sweater? Alpaca really is an amazing fiber! The 100% alpaca knit was super warm (even with the shortened sleeves) and the sweater was super thick, but still lightweight considering how thick the knit felt. There was zero itch and if you’re sensitive to wool, this is probably the best alternative since it’s still ultra warm. It’s not as smooth and soft as cashmere, but much thicker and better than regular wool. I can’t speak to how it wears and whether it pills or not since I ended up not keeping it (but alpaca is supposed to pill much less than wool and cashmere). But considering this is a used sweater, there was no pilling at all (but of course I don’t know how many times it was actually worn by the previous owner). It was around mid-50’s when I was wearing this sweater and even with the shorter sleeves, I was feeling almost overheated in it. So why didn’t I keep it? I just didn’t think the shape and length flattered my body. The large overwhelmed by petite frame (I’m 5’4”) and I think it made me look shorter than usual. Of course it did accomodate my prego belly but I couldn’t really see myself wearing a sweater this long post partum, so I sent it back (and thus it’s available again on The RealReal site). I think if you’re taller than me (around 5’6” and above) then this sweater might be a better fit. But my appetite to find a used 100% alpaca sweater is even stronger than ever. I’m on the hunt y’all! Anyone else try 100% alpaca and what did you think? You’ve heard me talk about Jenni Kayne before on this blog and so you know I’m a long time admirer though I never pulled the trigger on any of their stuff (because it’s so dang expensive and not really in the ethical fashion realm). But I just love her simple California casual styling and many of her pieces are classic, feminine and modern (and all in neutrals—just how I like it). I follow her on Insta for inspiration, which I then try to sometimes recreate with Everlane. And recently I started watching The RealReal (through my saved “feeds”) to see what popped up on there. I mostly was keeping an eye out for a pair of their leather mules in my size (which I’m not as keen on purchasing those anymore now that I have my Everlane Boss Mules that I love), but when a wool trench coat was listed I took the chance to try it out ($12 shipping and possible $12 return shipping be damned—I actually purchased several things I’d been saving to try out at once in order to hopefully reduce the pain of these costs). Anyway I’ve featured it several times on my Insta-stories because I’m in looooove. And even though you can’t buy the exact same one (though who knows what will pop up on the secondhand market), I wanted to write this post about my first experience and impressions of Jenni Kayne. So first of all, I was seriously considering an Everlane coccon coat as a preggo winter coat since none of my winter coats currently fit me. True, I live in California so it’s not super necessary for me to button up all the way. But at the same time I just really disliked the feeling of not being able to button up any of my coats (essentially making everything feel as if it doesn’t fit). Well when I considered the Everlane cocoon coat (which I slightly regretted passing up as a freebie from Everlane but you know about my new resolve), I saw that it was only 60% wool and 40% plastic. In general, I’m trying to add clothes made from only natural fibers from here on out so I was hugely turned off by the plastic content of the coat (which by the way makes it substantially less warm). So I got really lucky that this 100% wool (with a 100% silk lining) Jenni Kayne coat popped up. And how is it? It’s so dreamy. It really is the perfect wool coat for California. The wool is on the thinner side so I do need to layer sweaters under when it gets colder, but for San Jose weather it’s just right (for San Francisco I definitely need to layer). I love that there are no buttons to fuss with and it’s a simple tie closure. The inside silk lining feels wonderful when I wear shorter sleeve tops or dresses. The material quality is top notch and I’m very impressed by how well made the coat is. 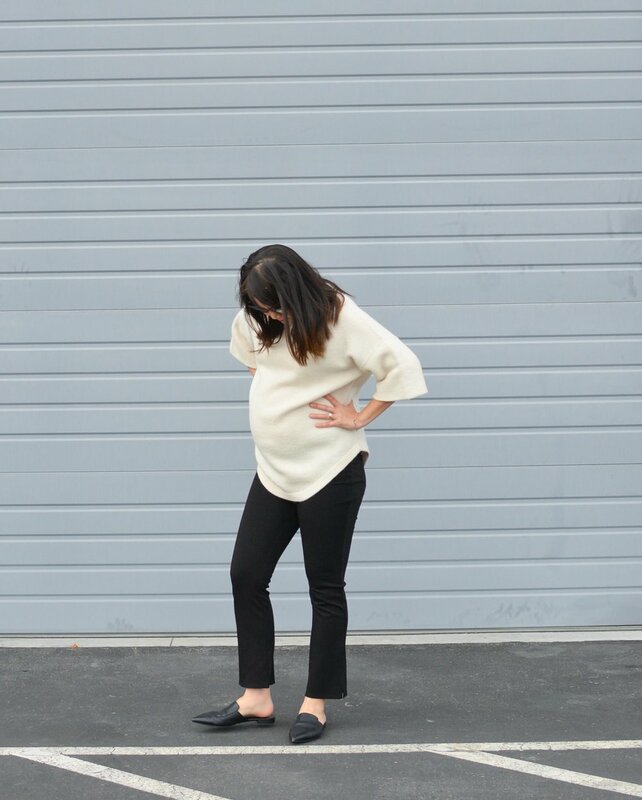 I’m wearing a small here and it’s perfect with just enough space to layer my Everlane cashmere waffle knit sweater underneath and accomodate my growing baby bump. There’s the exact same trench in a size XS available on the RealReal right now and it’s about $100 less than what I paid (dangit!). If you’re lucky enough to be a size 0-2 and live in a place with moderate winters, I highly recommend this wool trench! If that one happen to be gone (depending on when you see this review), maybe you’ll get lucky when you do a general search on theRealReal for a Jenni Kayne coat like this link here. Amazon Dupe for the Slip Silk Pillowcase? 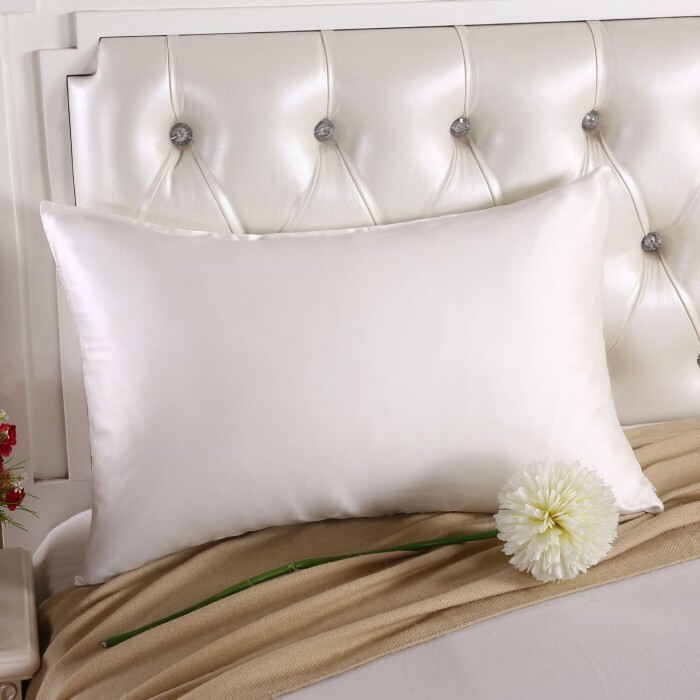 So last month when I did a review of the Slip Silk Pillow case (here), I was asked by a reader if I would test out a dupe she found on Amazon. And I totally understood because if you can get away with paying $38 instead of $80 for the same thing, why not? The one she liked from Amazon was this one, with 25mm silk which is higher in momme weight than the 22mm Slip silk pillowcase. Also the Amazon one says it's made of the same mulberry silk charmeuse that Slip touts as using. Unfortunately it is not the same. I had mentioned in my Slip silk review that I tried to make my own cheap silk pillowcase by converting the Grana 22mm silk slip dress into pillowcases. And well to be honest the one from Amazon is more like these Grana ones than it is to the original Slip (though I would say the Amazon one is better than the Grana ones by a smidge). 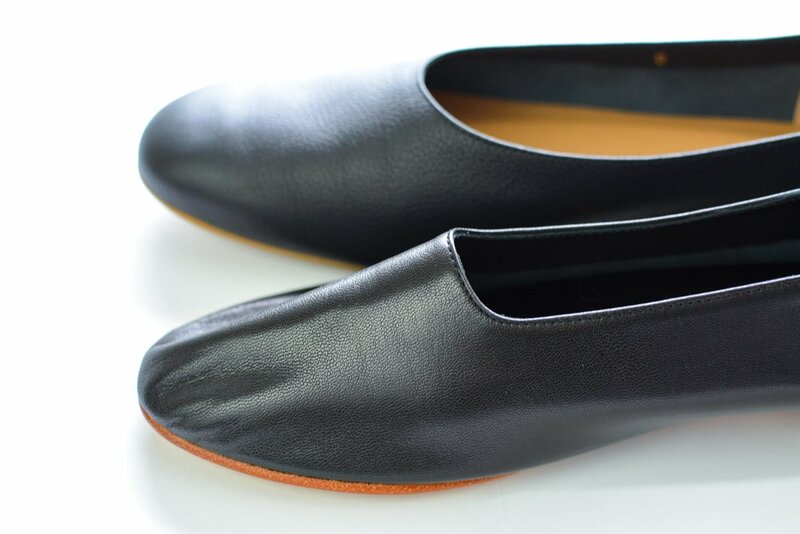 There's a difference in texture between the Slip one and the Amazon one. 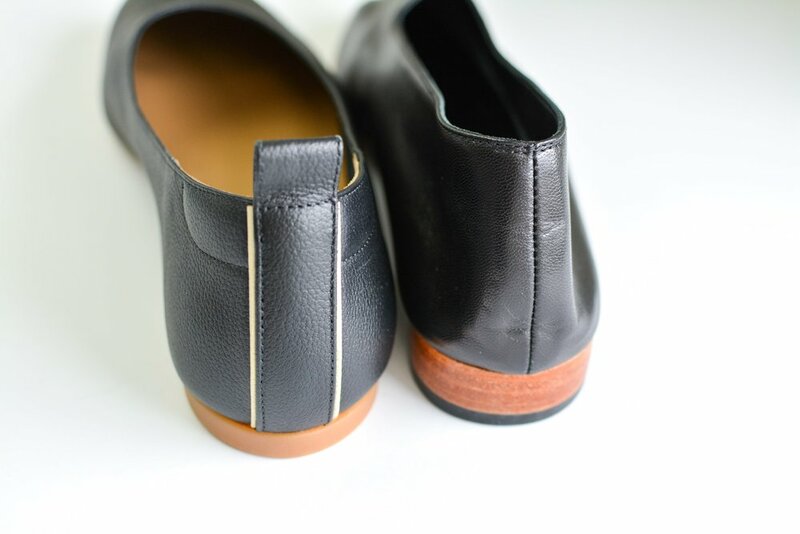 Somehow the Slip ones are just more slippery and smooth, while the dupe is (though not rough) a tad rougher. It just doesn't have the same slinkiness to it (for the lack of a better descriptive word). Also when it comes to my face creams, with the Slip pillowcase I can tell it's not absorbing into the silk (it just kinda stays on the surface and sometimes can feel a bit tacky) but this pillowcase is definietly absorbing it. I do however like that these Amazon ones have a zipper to it since sometimes my pillow pops out of the sleeve of the Slip pillowcase. But other than that I would repurchase my Slip silk pillowcase in a heartbeat. Like I said $80 is a lot but if you only use one and take great care of it, it's worth it all the way. Now this dupe is sort of like a substitute whenever my Slip one is in the wash. Since we moved into a new house and got a new bed, I decided to try out a new company for sheets. As much as I love my Brooklinen sheets (which I reviewed here), for the sake of research for this blog, I decided to try Casper Sheets. I purchased mine through their website but you can also buy them at Target. Much like Brooklinen, Casper promises premium sheets at direct-to-consumer prices. Also like Brooklinen, Casper makes their sheets from long fiber cotton (though Casper's is from Supima cotton grown in California). But Casper uses 2-ply thread at a 400 thread count while Brooklinen uses a single ply thread at a 300 thread count. Brooklinen claims that single ply thread makes for a smoother, lighter and softer fabric. Also the Casper sheets are a Percale weave while the Lux core sheet set I bought from Brooklinen are a Sateen weave and thus has more of a sheen. In terms of pricing, the Brooklinen ones are a tad more expensive ($149 for a Queen set compared to Casper's $140 for a Queen set). So which one do I think is better? For me Brooklinen is the winner hands down. The Casper sheets are definitely less soft and more rough than the Brooklinen ones. My husband however likes the Casper ones because he runs cold and sometimes finds the cool crispness of the Brooklinen sheets too cold when first getting into bed. As for me, I love that feeling of cool sheets. Since I regret not getting a set of Brooklinens for the new bed, I think I'll be returning these (Casper has a 100 day return policy). Also I'm thinking of trying linen bed linens (lol linen linens) since a couple of you guys highly recommended it after I wrote up my slow fashion linen review. What kind of sheets do you guys sleep on and recommend?